As someone who’s been in the advertising and marketing game for over 20 years, I can attest to how important competitive analysis is. Taking a look at what your competitors are doing to market themselves can often help you determine if your own marketing efforts are heading in the right direction. And just as social media should be another piece in your marketing and advertising arsenal, you should do competitive analysis on these outlets, too! So what are you looking for during a social media competitive analysis? Check out your competitors’ Facebook pages. What are they posting? Of those posts, which ones are getting comments and engagement? What are they offering? Are your competitors on Twitter? What do they tweet? Who are they following? Who are their followers? How about Pinterest? Do they use it? What types of boards do they have? Do they have LinkedIn company pages? What do they tout there? Are they on Instagram? What type of photos do they share? What hashtags do they use regularly? Do they blog? If so, what types of topics are they covering? Now that you’ve got a feel for what your competitors are doing, compare it to what you’re doing. Are there things you like and want to test in your own social media efforts? Sometimes, or at least on some outlets, the answer may be “no.” You may be the master of an outlet in your industry and your geographical area. But often, there are some things you can glean! Do you do any kind of competitive analysis on marketing efforts? 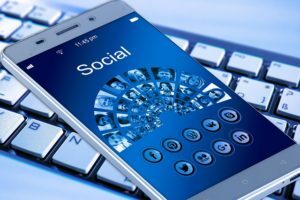 Do you include social?